I was looking in the librairy and I noticed something, Maybe someone can fix this, There is not really any GP50s represented in the Librairy, I'm looking for an ATSF and if someone feels real ambitous maybe some others that used the GP50's. And in reality there's a need for more GP38s, GP40s and so on. So can somebody help with filling in the gaps? How so? do you mean new models or repaints or adding featuers to the existing units like bells and stuff? I would like to see some new models or even reskins of existing models but with updated textures/trucks and so on. I'm not complaining about whats out now, just since everything else has been improved over the years, why not the old GP38 model that came with the box. I like all the improvements thats been acheived with everybodys hard work, like the other locomotives thats now offered since the games inception. Thats been done with everybodys hard work, ether whos done freeware or payware. But what I'm trying to get at is, I do enjoy all the different locomotives thats out now, but I really enjoy the older hood diesels that some how got forgotton such as the mid years GP's and SD's say from the GP35 up to the GP60, and the SD's from the 24 up to the 60. I mean it seems like everybody put those aside for the modern style diesel. I guess I'm more old school by liking those style diesels, but I don't want none of us to forget if it wasn't for these older diesels there wouldn't be diesels that we got today. So please anybody that has freetime to do them please consider them. 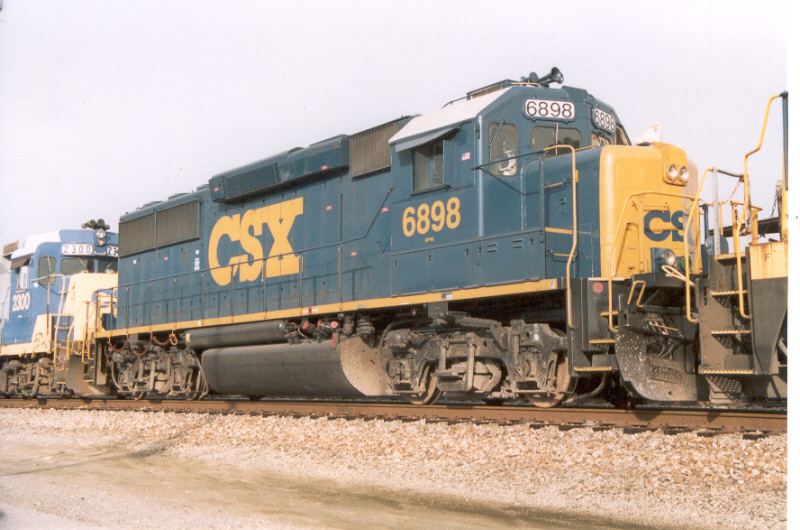 I sure wouldn't mind seeing a new GP60. One of my favorites, a four axle, high horsepower engine, and to top it off, powered by the sweet sound of an EMD 710. would ba a great addition is EMDs prototype GP60s, with the round corners, and angled cab. That was an interesting looking locomotive. I believe Justin Cornell has a GP60 or two on his website. They're payware, but they're excellent models. emd7gp60.zip in the file library also looks rather decent..
nice looking locomotive, but not the one I'm looking for. I'm looking for #s 5-7. I can't get photos to upload, because they're too big, but you can find photos of #s 5&7 on railpictures.net obviously under the different fields, put it to GP60, then under roadname or whatever it is, scroll down to general Motors leasing/EMDX, and search. these were very unique locomotives, only 3 were built, because it was to expensive to produce, and in testing, the new angles, and curves showed no improovement on dir drag, so it was deemed unworth-it to build. I think one or two are on Norfolk Sounthern. EDIT: no, those 3 on NS aren't GP60s, but GP59s, with the same modeling as those 3 GP60s.